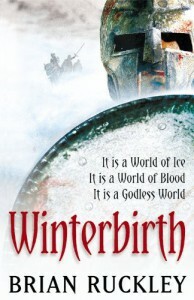 I give Winterbirth a tepid 3 stars (more like a 2.6-2.8). It's not that there's anything "wrong" with Ruckley's writing but there's nothing that I can find that's extraordinary about it. I'm going to continue with the series because I do like Ruckley's style and the characters and his world are interesting enough to keep me engaged though I doubt I'll remember the series all that well a few years down the road (though that may be due to advancing dotage :-). It's an enjoyable way to pass the time with a good, competent author if you're a fan of Cook, Erikson or Abercrombie.